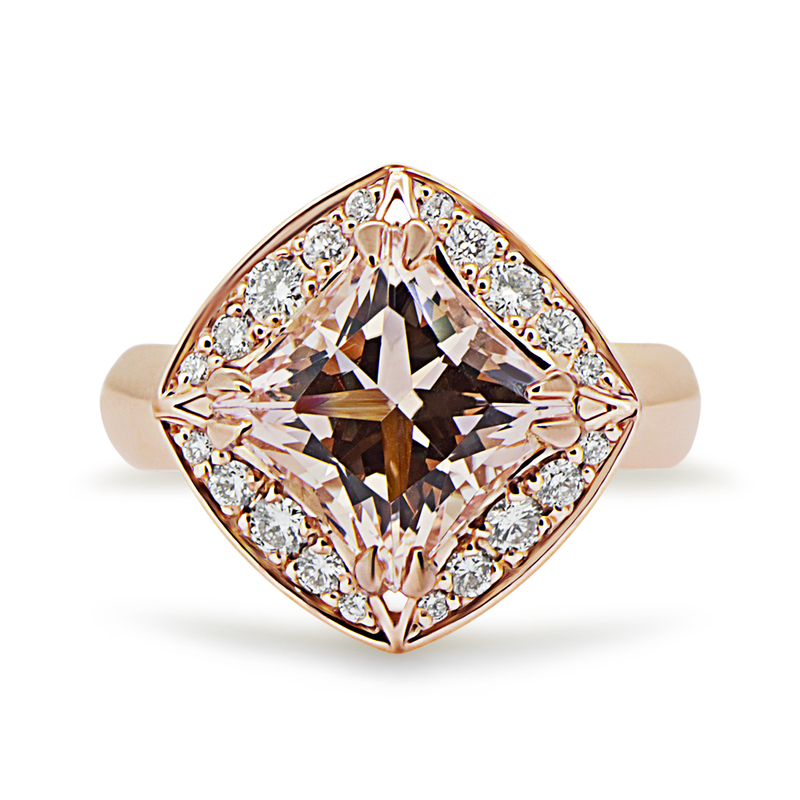 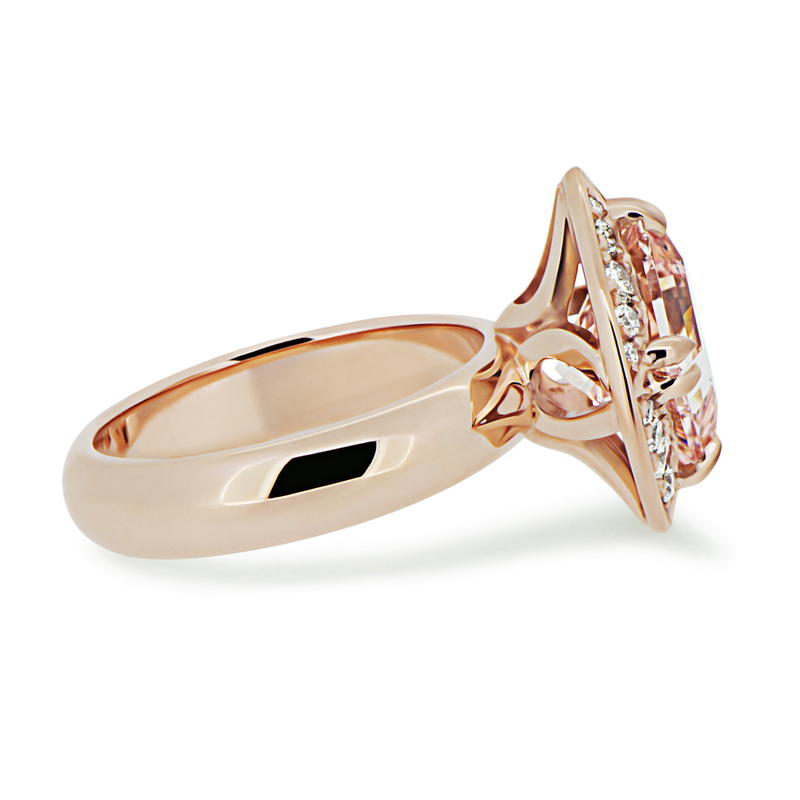 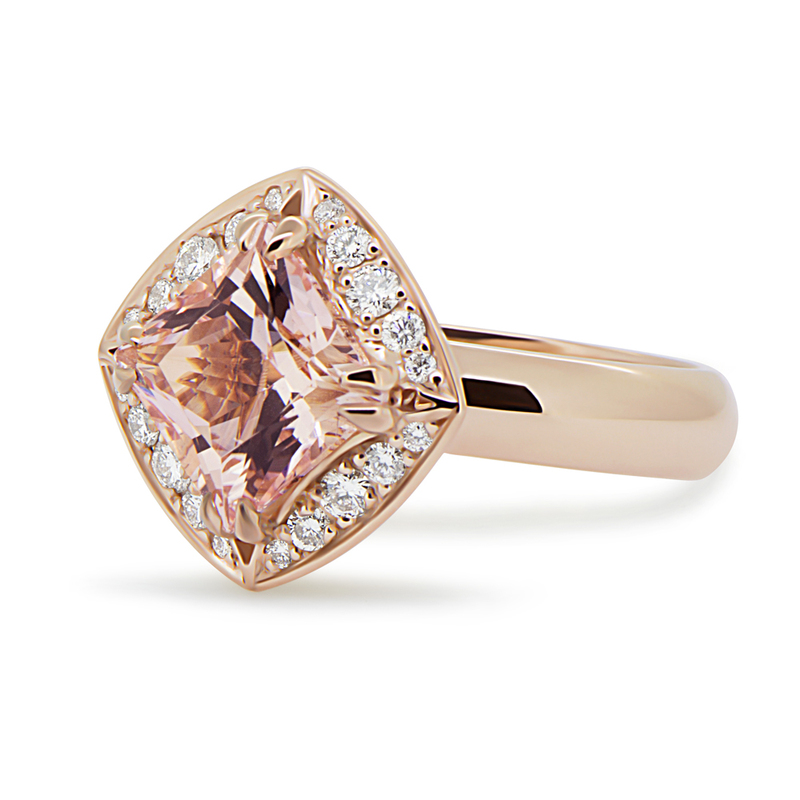 18ct Rose gold and Morganite what a pair! 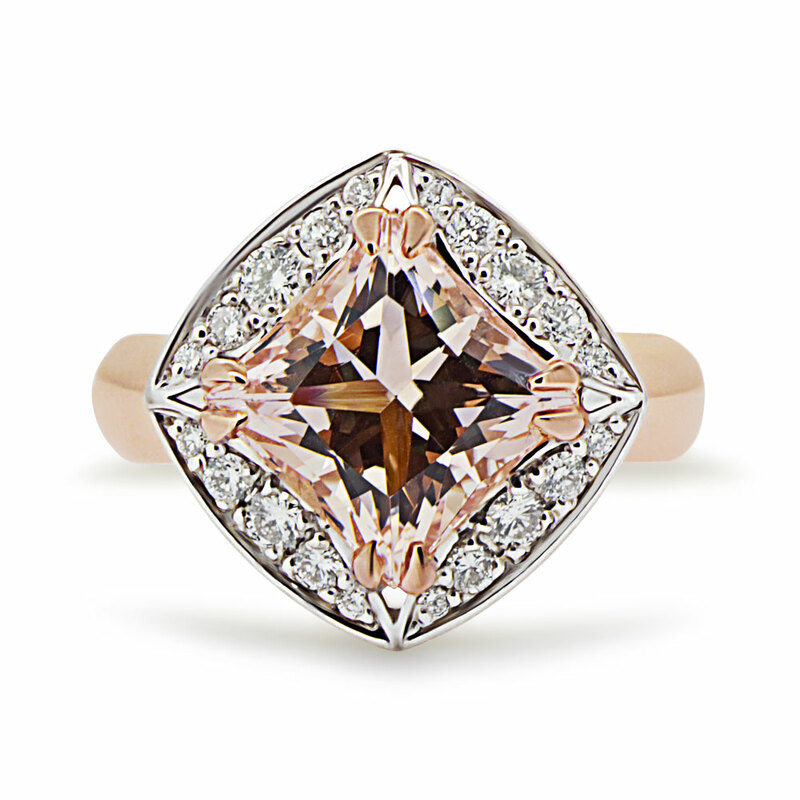 This 2.4ct Princess cut Morganite is corner claw set and surrounded by a square halo of graduating white diamonds. Also looks amazing with a white gold setting and rose gold band.